A 1961 Rogers Dynasonic finds its way back home! 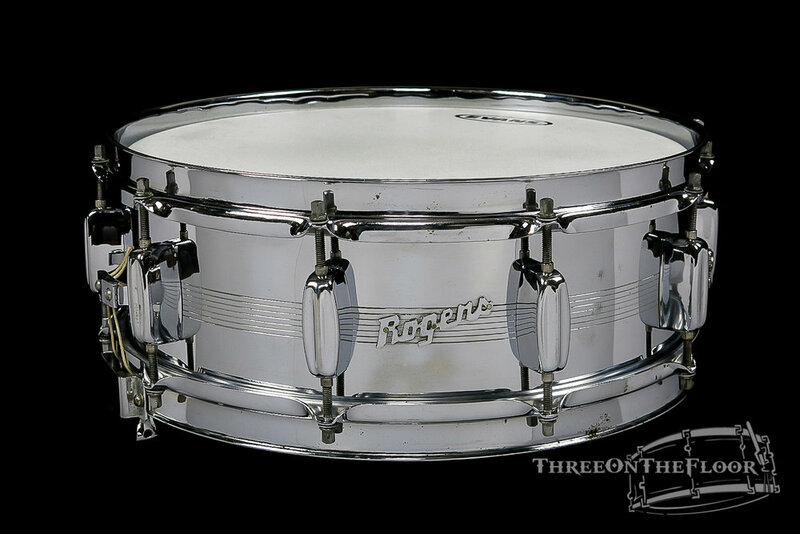 Rogers’ most iconic contribution to the history of drum innovation is without a doubt the dynasonic snare. This strainer system pioneered the ability to adjust the horizontal tension of the snare strand independently from the vertical pressure of the snares against the resonant head. Inspiration of this heavily engineered strainer system can be seen today on Drum Workshop’s True Sonic snare drums. Roughly 80 pre-badge dynasonics were produced sometime around 1960 which all featured a paper tag on the interior of the drum shell. Shortly after this initial production run, Rogers began stamping serial numbers on an oval dynasonic badge beginning with 1001 (which is known to be a Blue Sparkle wood shell). 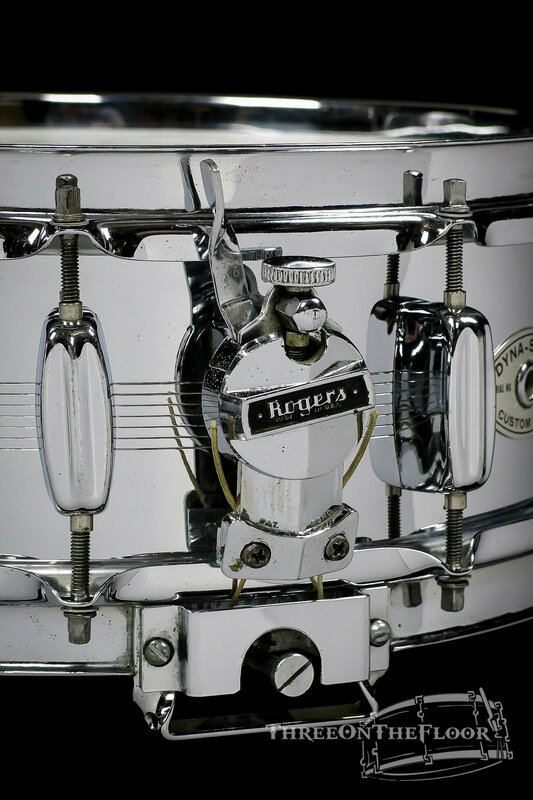 The very first brass shells, which were intertwined with the production of wood dynasonics, were manufactured by the Gretsch Drum Company. These early shells are identified by the lack of "valleys" above and below the 7 line pattern around the center of the shell as seen on later dynasonic shells. While it isn’t certain how many brass shells were produced by Gretsch prior to Rogers taking over manufacturing, it is estimated around 250-350. This particular drum is stamped #1308 which puts it towards the later side of production in 1961. The drum currently belongs to former Rogers employee, Jerry Shields. Jerry was an expert in tuning and setting up these beautiful drums prior to their shipping from the factory. In September of 2016, a group of Rogers enthusiasts set up a Kickstarter campaign to purchase this drum for Jerry’s birthday. We were fortunate to have Jerry share some words on his days with the Rogers Company. When did you become a drummer? I started drum lessons in the fourth grade. When in the sixth grade, I was in the Covington Jr. High Band. The Senior Band did not have enough drummers, so I joined senior band. How did you become involved with the Rogers Drum Company and when did you work for them? I worked at Rogers from 1960 until they moved to Fullerton in 1969. I knew about Rogers through a friend that worked for the company. I also knew the plant manager. He was aware that I was a drummer so he hired me as a truck driver. What was your main role while working for them? In 1961 Joe Thompson asked me to train in tuning and adjusting the Dyna Sonic snare drums. Joe worked with me until he felt that I was ready to adjust and tune the Dyna Sonic on my own. I also built the snare frames and inspected the drums. 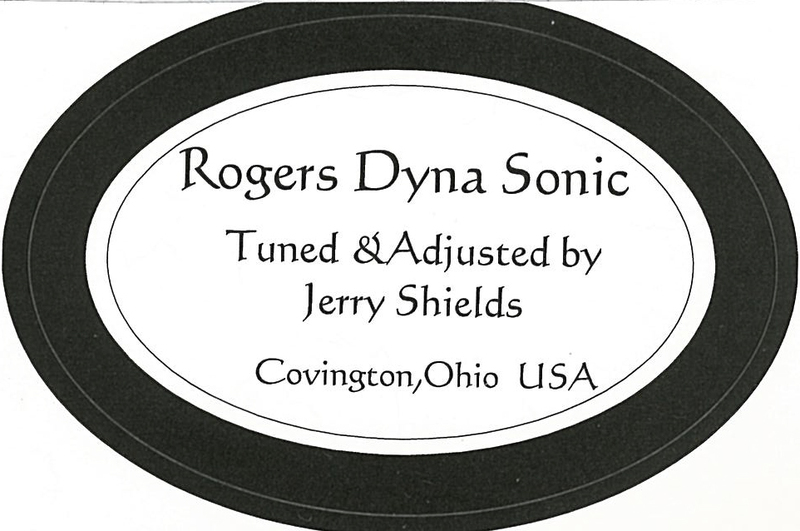 I adjusted and tuned all of the Dyna Sonic snares up until I was moved to Dayton with Rogers. Here I worked in order processing and became the warehouse manager and supervisor; overseeing the assembly of Yamaha drums. I was the last employee to leave Dayton in 1969. What is one of the most memorable experience you can recall while working for Rogers? The most memorable experience was when Louis Bellson came to Covington. He set up his new Rogers set and played for the employees. What is your direct relationship with this 1961 Dynasonic? The 1961 Dyna Sonic snare was one of the first Dyna Sonics I tuned and adjusted. 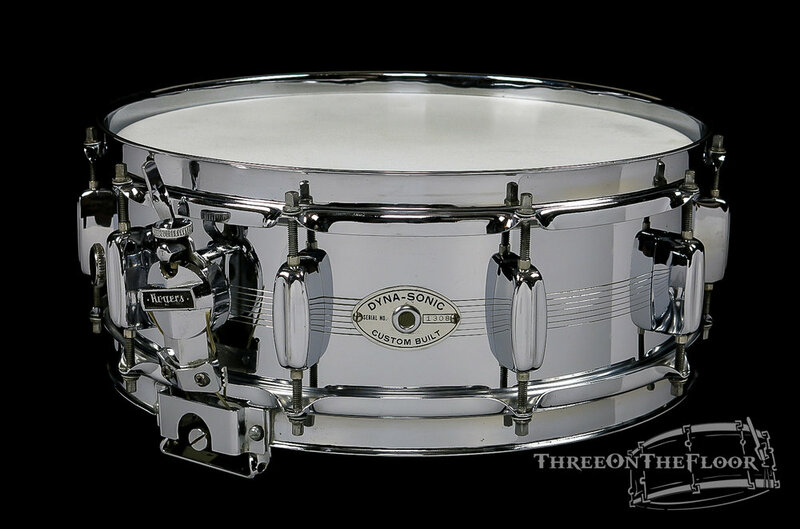 Thanks to the Rogers USA group for buying this beauty snare drum. A special thanks to Jerry Sheilds for his time and help on this article. In addition, a shout out to all of the members of the Rogers USA facebook group for a spectacular effort and story!